Originally garters simply held up stockings, but as the skirts became shorter the garters became more and more ornate. 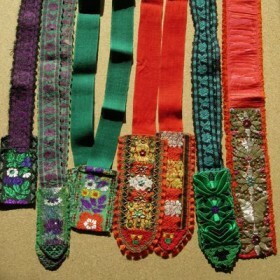 The result was a wide variety of decorated garters. Garters are approximately 85 cm long and 3-4 cm wide. The colour of the garter bands matches the colour of the costume worn. All bands have decorated plates at both ends. 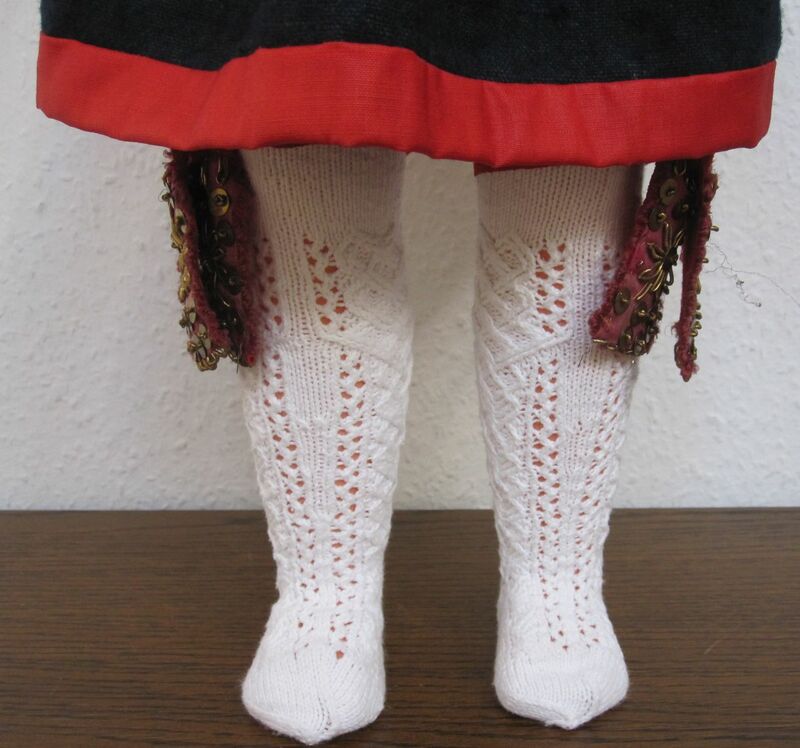 To hold up the stockings, garters were placed around the leg above the knee and were tied so that the plates peeked out below the skirt hem at the side of the leg. The embellishment of the garters varied greatly. 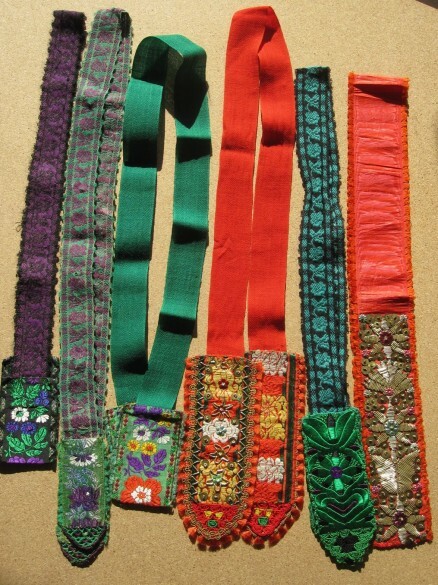 Simple garters had plates of colourful, silk jacquard ribbons. 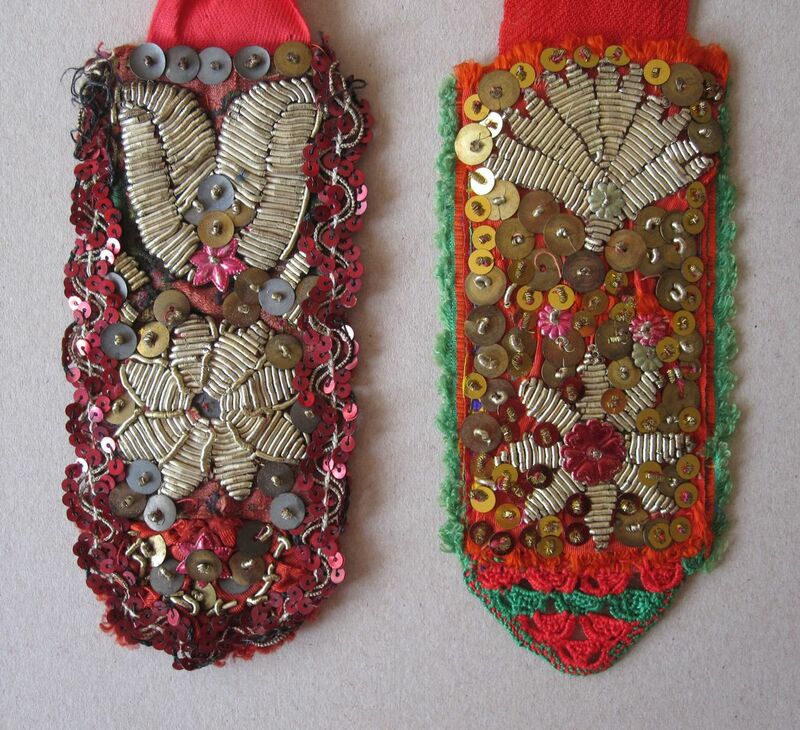 More elaborate examples had an additional decoration of needlelace at the bottom of the plate, or had sequins, or were trimmed with fine metal Purls. 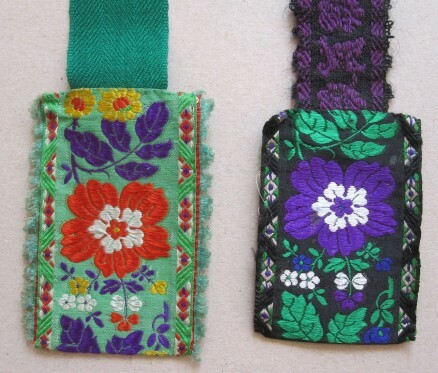 Older pieces often were decorated with “Tritzern”. 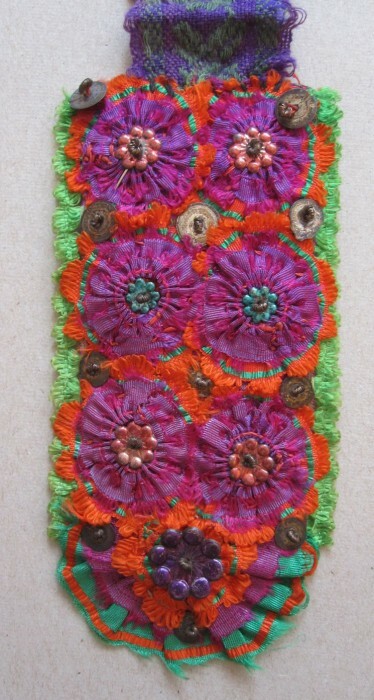 These are rosettes made from silk ribbons. They were attached to the plates with beads, little blooms of coloured metal or sequins. More expensive examples were richly decorated with Purls and sequins. The red costume would have gold accents, while the green costume would have silver accents. The most impressive garters were those worked in the finest colour embroidery using silk threads. Only the wealthiest women could afford garters worked in the finest colour embroidery using silk threads, additionally decorated with sequins and Purls of gold and silver. Of course, these examples are so rare that I, unfortunately, was not able to get an example to show here. I would have never thought that garters would be tied to the leg like this. What a wonderful way of showing a bit of flash at the hem of a skirt. Very interesting post. Yes, Deb, the Schwalm costumes have a lot of very interesting details. You will see in later posts.